Now you can take your Veho Muvi into the abyss, well, provided you're not going deeper than 10 metres, as the case is proven to be 100% waterproof to this depth. Perfect for watersport enthusiasts of all types, including snorkeling, waterskiing, kayaking, river rafting, sailing, fishing, windsurfing, surfing and so much. 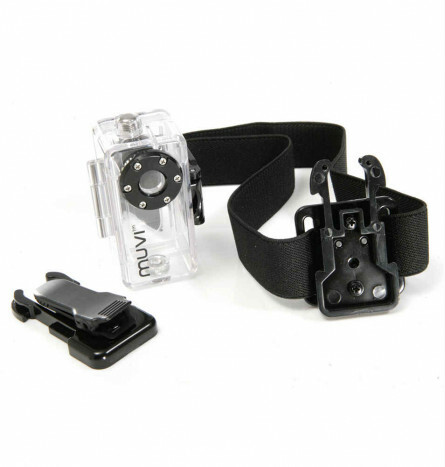 The supplied strap/clip means you can wear it around your arm, on your helmet, or strap it to just about anything.